That is a very cool boat. Congrats. 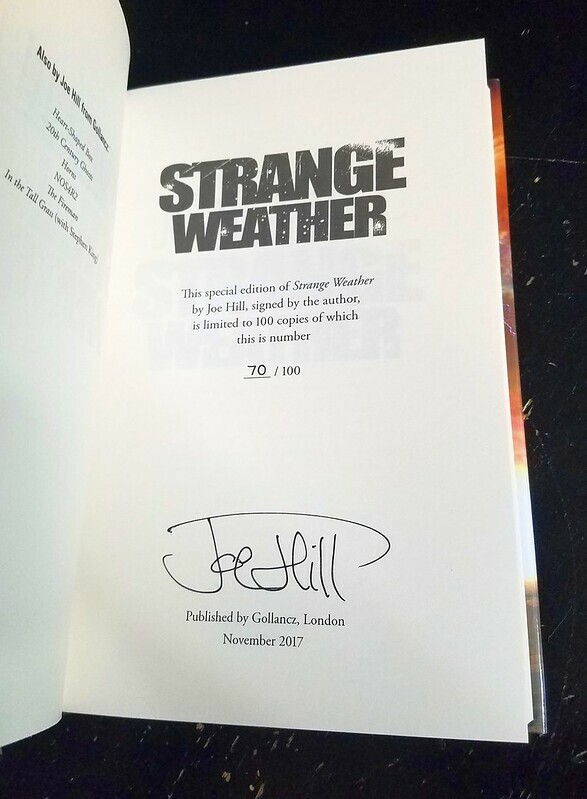 I drug my feet when they announced the UK Strange Weather S/L, and didn't end up getting a copy. But how could I have a proper Hill collection without one?! Nice, Dez. I need to get one of those myself. 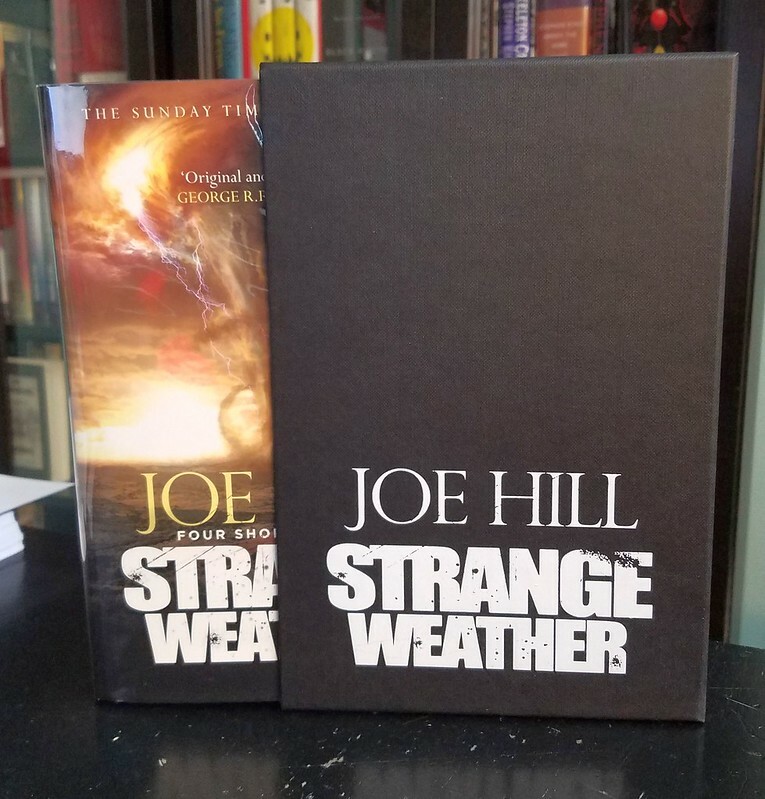 That's strange, whether you like it or not. Thanks! And yes, you do! Well done, Dez. It's a nice one to have! You should! I didn't really like 1 of the stories, although that might have just been me. But there is some good stuff in there! I know, right?! Why do I keep passing on this stuff just so I can track it down later?! Anyway, this is original art from Alex McVey. I decided to go in a different direction with the metal/industrial looking frame and I think it suits him. I really liked how it turned out! 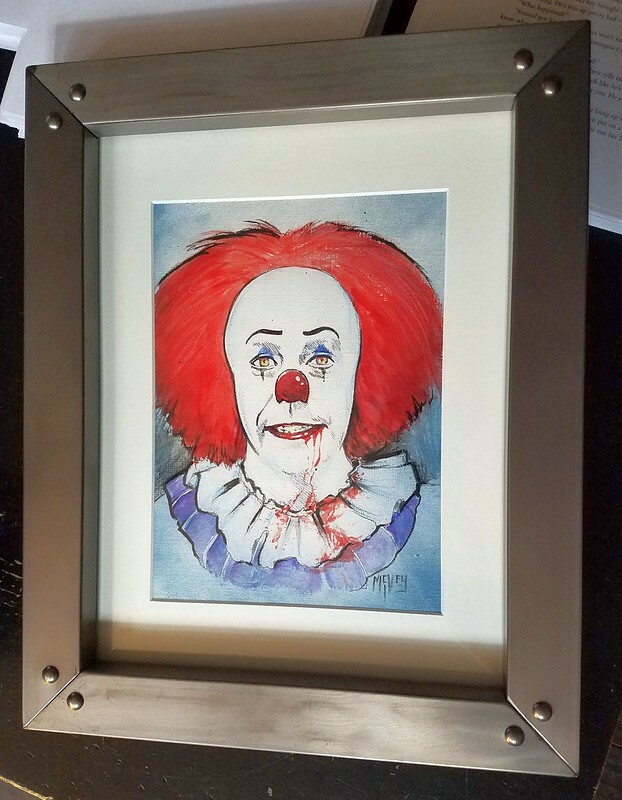 Now I just need one similar for my IT cover print, and they can go on the wall together. 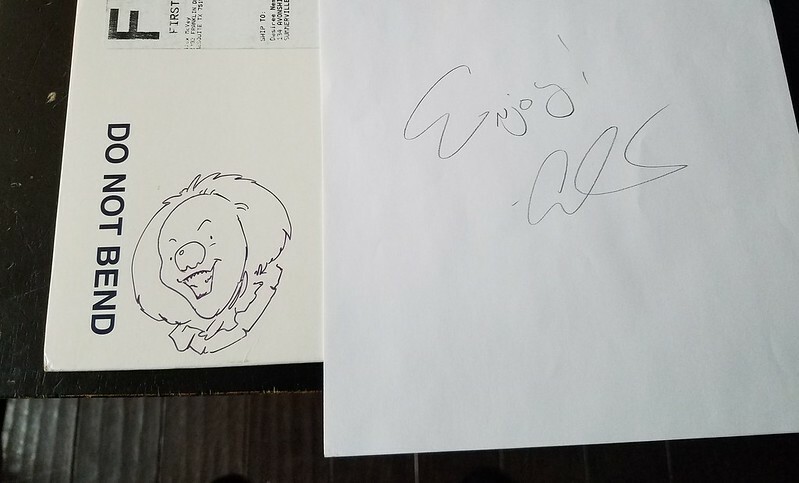 Alex also drew me a little Pennywise on the envelope, which I tucked in the back of the frame. Excellent! I love the little bonuses McVey usually throws in. That looks great. 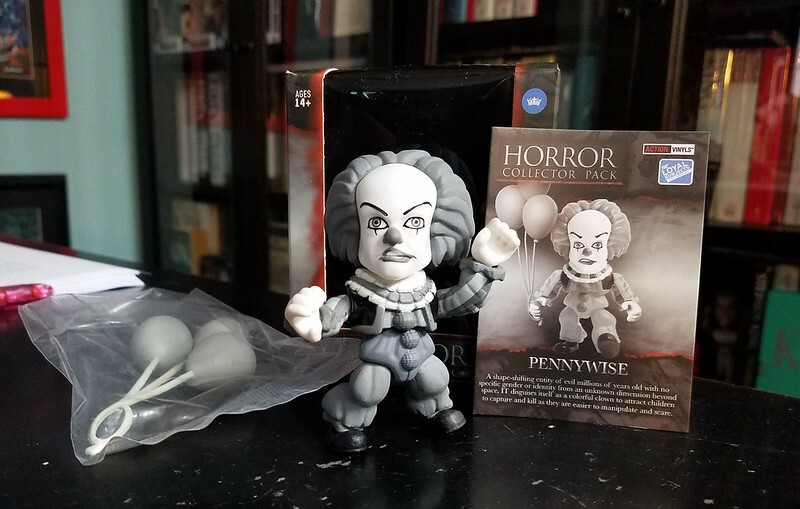 The Pennywise sketch is also really neat. Sooo....has anyone seen this one? It's a Hot Topic exclusive. One of those mystery ones, so you don't know what you are getting. Someone posted on FB, and I couldn't resist. I have a problem. You and Becca both with these things lol. Looks cool though. We both need medication and maybe admitted.